After recently joining Taste Hungary for their Jewish Cuisine Walking Food Tour, I next joined them for their Buda Food Walk. I met the host and other tour participants at an easy to find central meeting point before we took of to learn more about the interesting history of the city and try the unique food. Many don’t realize that Budapest, now one city, was formerly two cities divided by the Danube River that weren’t formally united unti 1873. While Pest is busier and more commercial, Buda is known as the quieter, hilly side of the city. Looking for where to stay in Budapest? Check out this post! Our first stop was for coffee and pastries at a family owned bakery that has been in business since 1870. 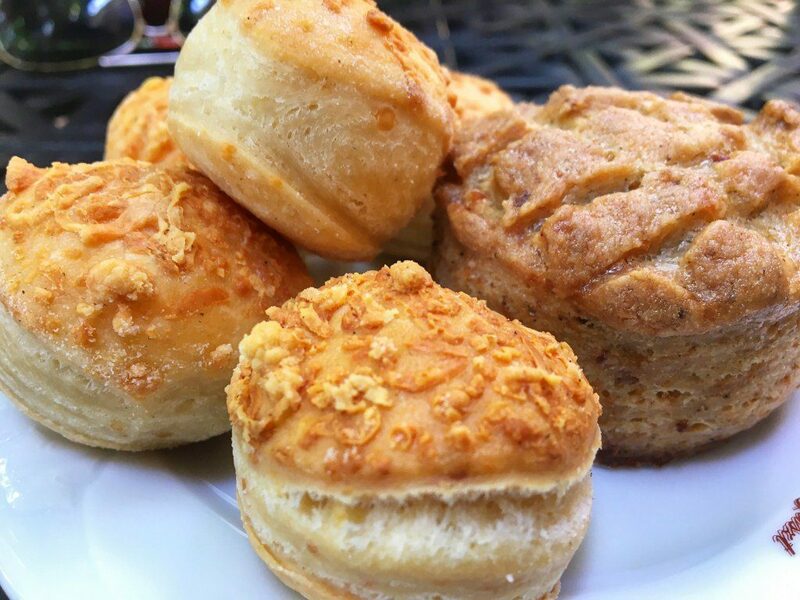 For four generations, this single family has continuously operated this bakery! We went to sample a typical Hungarian breakfast- caffeine and something sweet. Our first food was my favorite. As many of you know, I don’t really enjoy sweets, but this was more of a savory offering that even had pork cracklings in the dough. I really liked these. They were a bit heavy, but had great flavor. I could easily see how one of these with a cup of coffee would be filling. The next two, sweeter offerings were crowd favorites with the rest of my group. 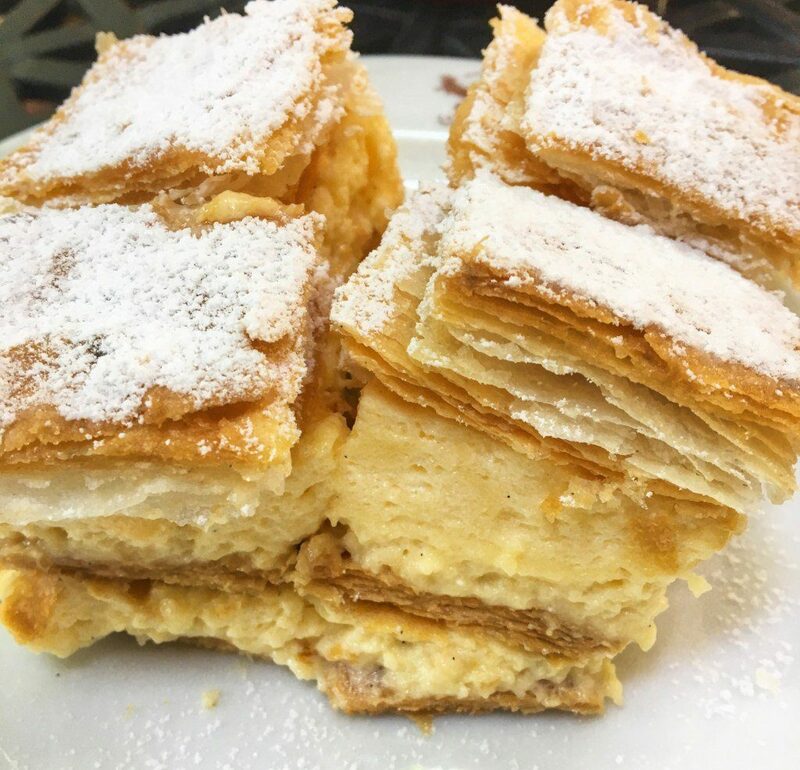 First up was this flaky dessert type pastry filled with a pudding or custard like cream and finished with a generous sprinkling of powdered sugar. Last was a fruity option I really enjoyed, because it was more fruity than sweet. The crust was buttery, and the fruit delicious. This one paired really well with the cappuccinos we sipped. After everyone was caffeinated, we set off for the neighborhood market, a farmers’ market of sorts. It was great to visit this particular market because it didn’t feel touristic at all. The market appeared to be primarily made up of locals gathering to do their shopping. We seemed to be visiting at peak season, as the stands were overflowing with tons of fresh fruits, berries, and vegetables. We passed various stands selling artisanal goods such as honey, cheeses, and row after row of cured meats. 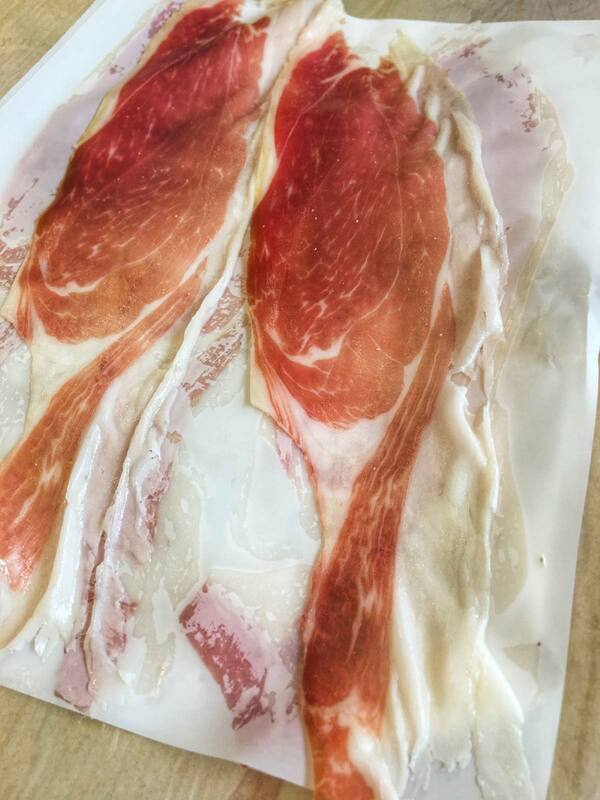 One stand specialized in Mangalica pork, a regional specialty. Mangalica pork is famously cut from a breed of a Hungarian domestic pig and wild boar. The name translates to “hog with a lot of lard”, and this was evident when we sampled slices with lots of creamy, delicious fat. As we started to get slightly full, our guide suggested we try a digestive to keep our appetites up for the rest of the tour. We stopped at a small café in the same farmers market to try their sour cherry flavored pálinka, a traditional fruit brandy. We all agreed that, for the amount of alcohol these contained, they went down way too easy! Even though the pálinka was strong, the sour cherry flavor was evident as well. Next, we made our way to one of the busiest stands in the market to try langos, a Hungarian specialty. The smell of fried dough hit as we approached and joined the line. Locals walked off carrying variations of the same dish of deep fried bread covered in a variety of toppings. 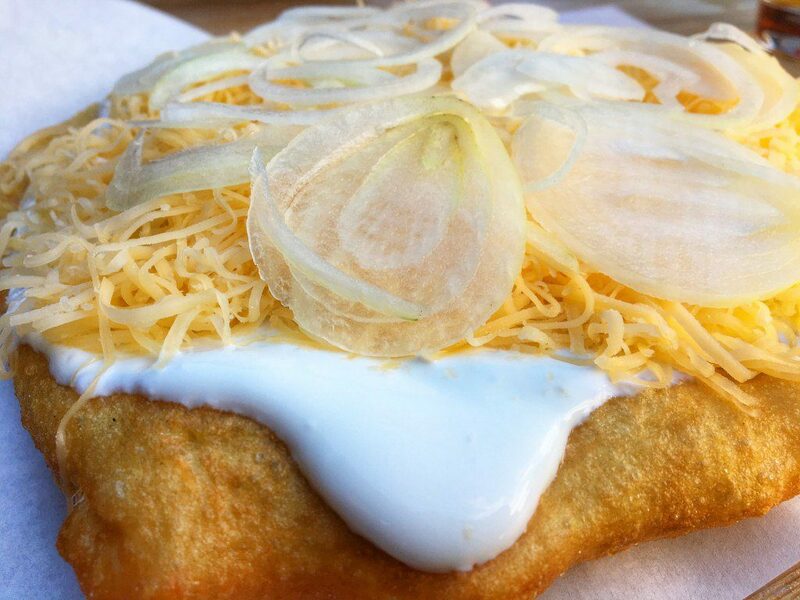 Some chose to take the fried bread plain, but I was happy our guide chose the version covered in sour cream and sprinkled with cheese and a layer of sliced onions. This definitely isn’t a light dish, but it was so delicious- warm fried bread with a crusty exterior and a fluffy interior all covered in tangy cream, cheese and onions that gave it a great finishing layer. Fortunately for us, the entire group shared one langos. I can see how you could eat one of these and not need anything else for the rest of the day. 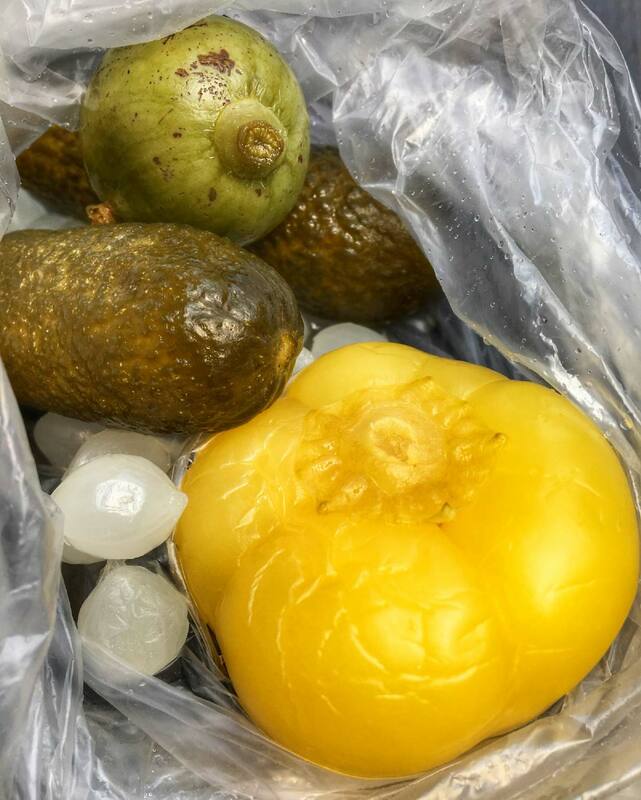 Going from stall to stall, we noticed a pickle shop, and one of the participants said she loved pickled items. This stall pickled seemingly everything, including baby watermelons. 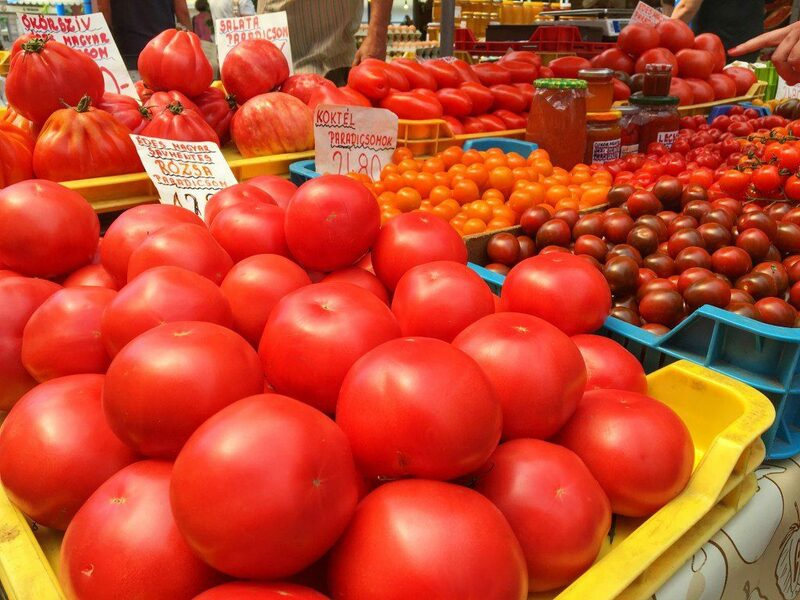 It reminded me of the pickled goods shop we visited on my walking food tour of Istanbul. Noticing her interest, the vendor quickly put together a small sampling of pickled items for us to try. 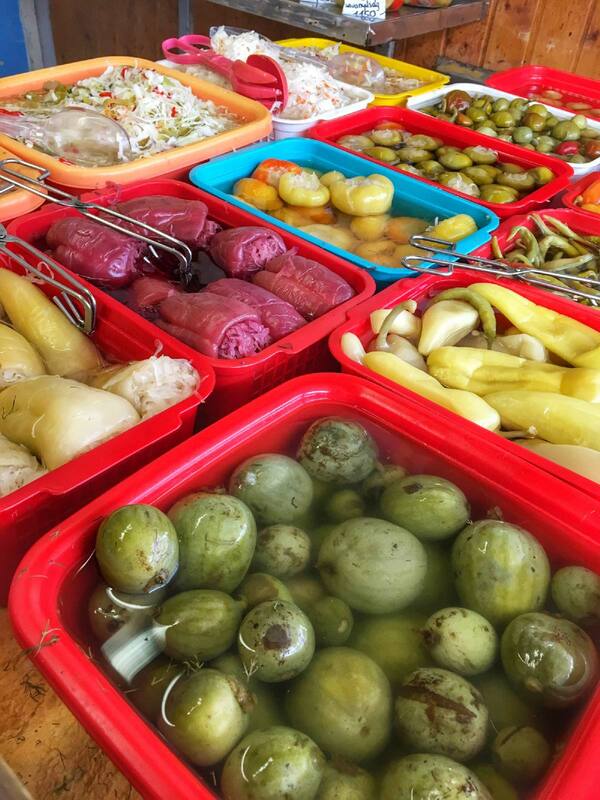 I don’t care for most pickled items, but everyone on the tour that likes pickled items loved everything they tried. As we were leaving the market and headed to the next stop, one of the stands caught my attention. This seller specialized in honey and had many varieties for sale that she allowed us to sample. 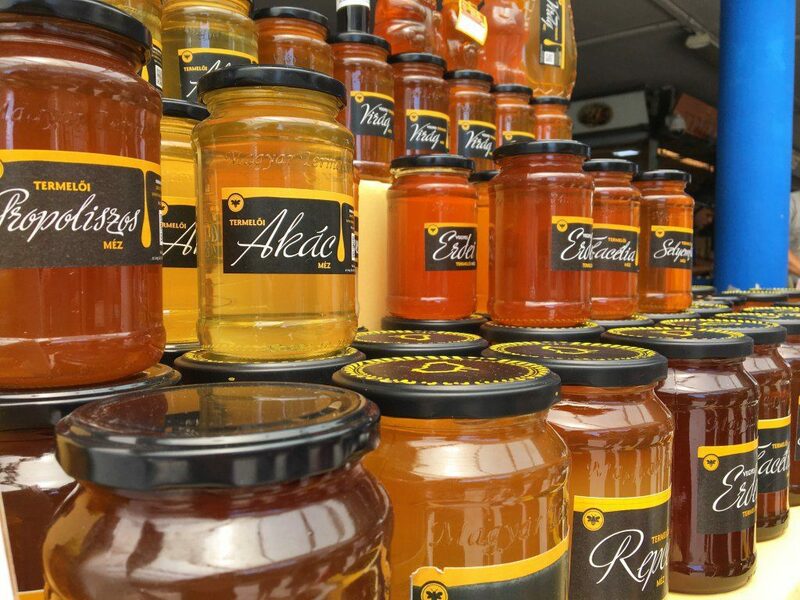 Some of the more interesting honeys were flavored with tobacco flower, lindon flower and (my favorite) chestnut honey. To give us time to digest all we had just tried, we took a short walk to a Communist era coffee shop for another digestive. 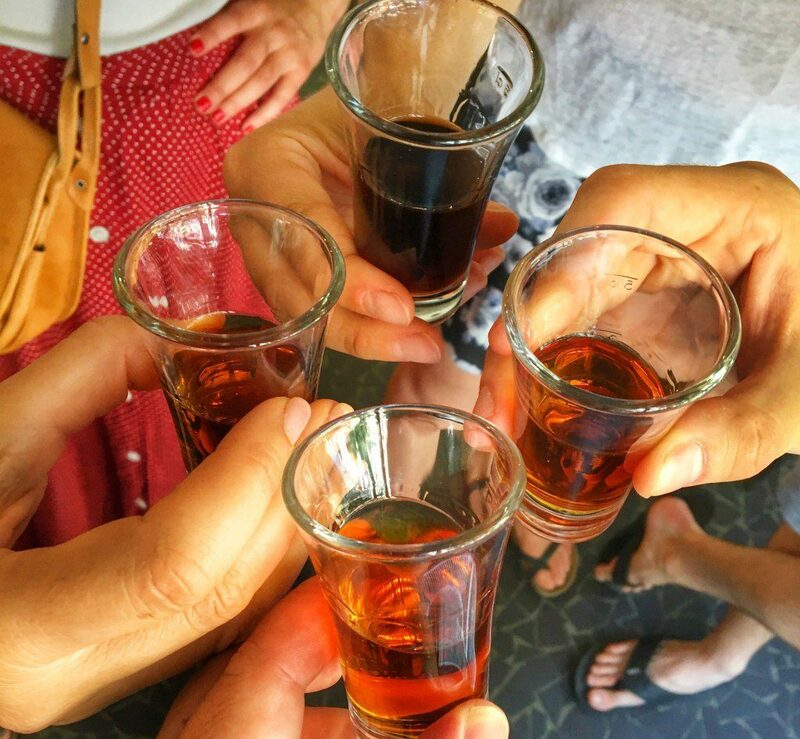 This time we tried Unicum, the national drink of Hungary. Unicum has a very interesting back story. The original factory owners produced the drink fled during the Jewish persecution. Before fleeing, they were forced to turn over the secret recipe, which is said to contain over 40 herbs that create the unique flavor. The owners provided the state with a fake recipe, and the drink they produced was never as popular as the original. Once Communism fell, the original owners were able to return, buy back their confiscated factory, and once again begin producing their (still secret) recipe. I don’t love Unicum (the dark liquor pictured in the center) and had tried before. Instead, the guide provided several of us a variation made by the same company. I do, however, love the story of how the original owners duped the state and later came back to produce the beloved original recipe again. Next, we were off to a very traditional restaurant for a sit down lunch. As we walked in to this restaurant, I was reminded why I enjoy these tours so much- I never would have found this place on my own, and I would be surprised if it has been recommended on any large review site. It looked and felt like being inside your grandmother’s house. The food felt like that too- simple but delicious, homestyle recipes. We started with a dish that I knew I probably wouldn’t like when I chose it. II wanted to try it anyway, though, because it’s a local specialty. 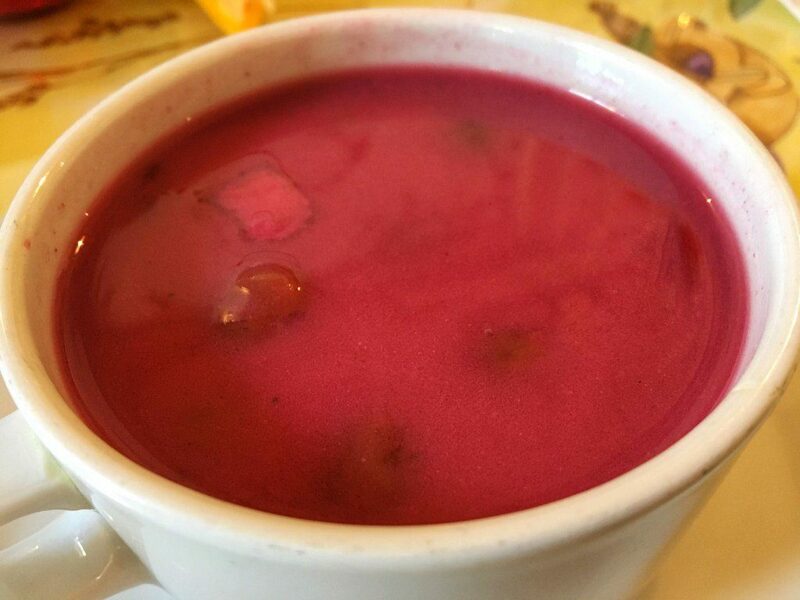 This is a cold soup of forest fruits. Several other people on the tour loved it, and one of the other participants even finished mine when I didn’t. I can see how out it could be refreshing when it was hot. Everything else we were served, I loved. 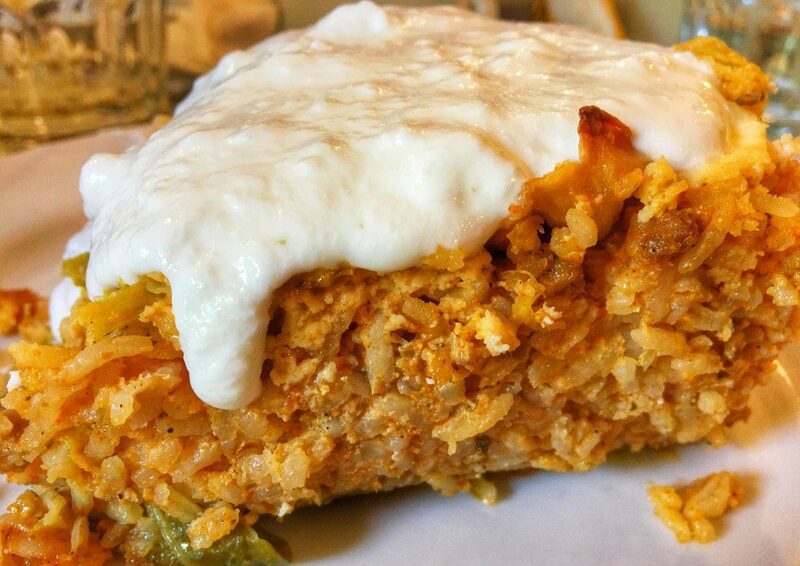 The first of my favorites was this layered cabbage dish filled with meat and rice, served hot and topped with a creamy yogurt. Then there was this dish of stewed chicken livers served in a rich delicious gravy with a side of herbed potatoes. Both were delicious, and even though we were all in a borderline food coma, we couldn’t stop eating. I finished the Buda food walk with both a better understand of the history of the formerly divided city and a stomach so full there was no way I could consider dinner! I definitely recommend this tour to anyone interested in a lot of eating with a side of history. Practical Information: To learn more about this tour and book it for yourself, click here. Disclaimer: I would like to thank Taste Hungary for inviting me to join them on this tour as their guest. All opinions remain my own, as always. Which dish looked best to you? 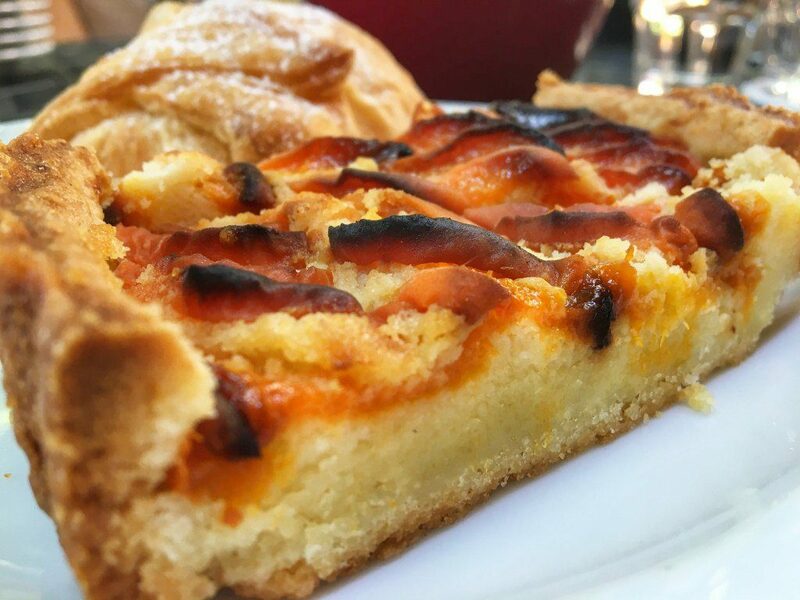 Would you consider joining the Buda Food Walk with Taste Hungary? Let me know in comments section below! After reading your post and seeing all the photos of the dishes – YES! I would happily join the buda food walk! 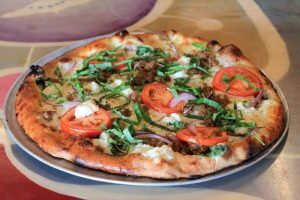 I LOVE foodie trips! And I firmly believe that you can really understand a new country through their food. What I didn’t know is that Hungary has so many delicious dishes! Bucketlisted it! OMG, although that food tour sounds AMAZING, I don’t think I could survive it!! 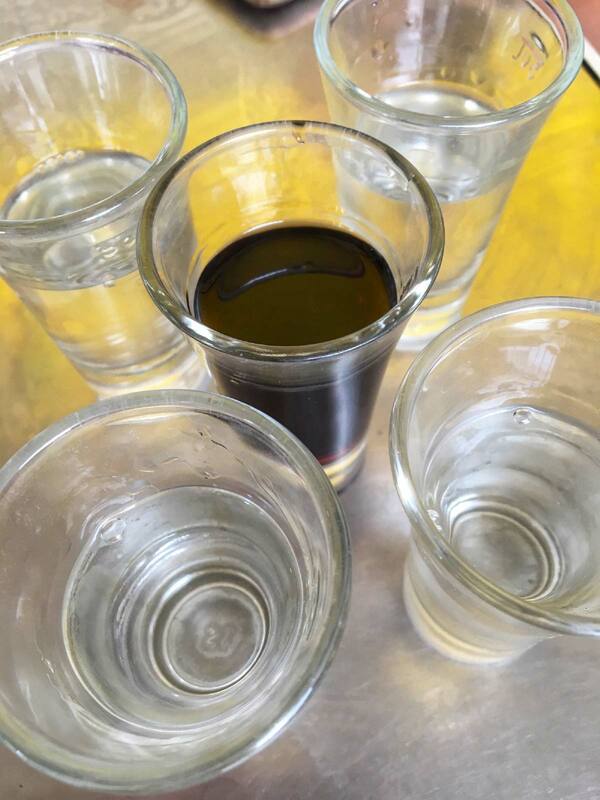 Tragically, I didn’t really see anything I didn’t like – and although I wouldn’t usually drink anything alcoholic in the morning, I can see how you’d SO need to have the Palinka and Unicum to help it all down! Fantastic! I love the Hungarian idea of breakfast that you mention… caffeine and something sweet! The fruit and veggies look divine, but so do all of the desserts and the different honey flavors. And yes, I would absolutely join a food walk! wow so much food. How do youchoose a favourite? I liked the look of the fried dough covered in sour cream. The local tipples would compliment the food too, i am sure and leave a good feeling of satisfaction. You always remember a country by its food. All the food looks good. I am a big fan of food tours and just like you said, I always end up in food comma but still wanting to try more. Everything looks very tasty. This is the sort of food that I love. I can imagine that you were ready to explode after all that food though! I didn’t know that this was an option! Thank you for sharing this. I love food tours, you get to experience the city in a different way! I will have to check this out next time I am in Hungary. I’m a huge fan of food tours when I’m visiting a new city. 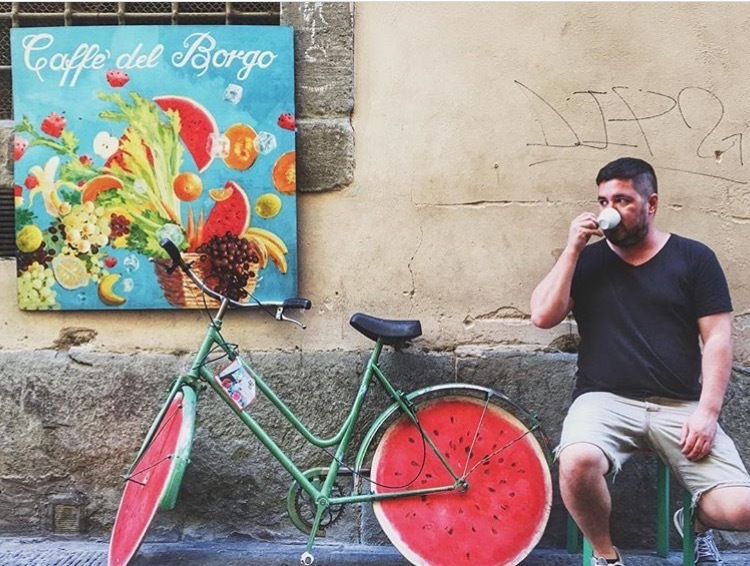 You can learn so much about the city and its culture through it’s markets, cafes, and restaurants. I also happen to love Budapest as well, and really enjoyed my meals there. 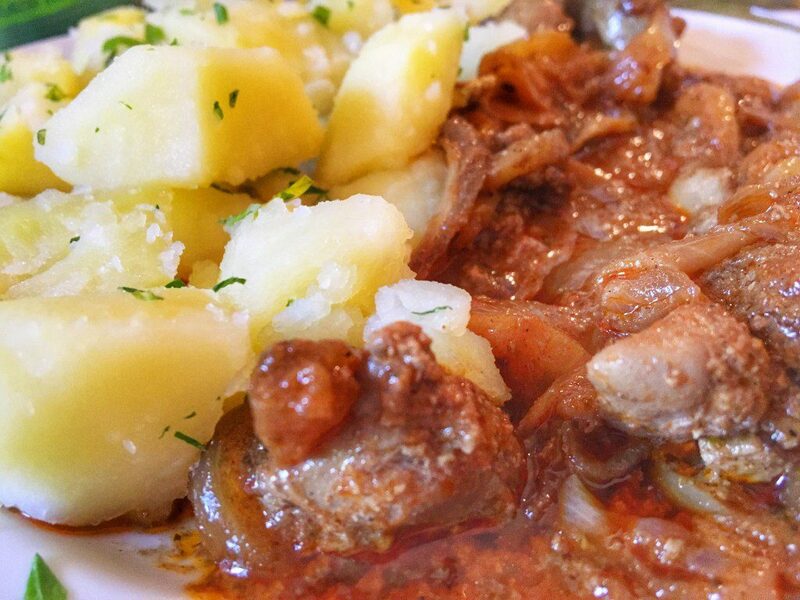 The sweets are especially intense, but there is nothing better than a proper Hungarian goulash! All those pictures have made me so hungry. Loved learning about Unicum. I didn’t even know that there can be 40 herbs! 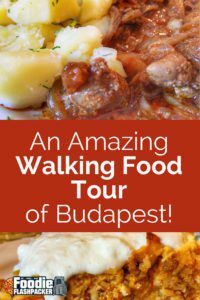 I love food tours so much, and I love that Taste Hungary includes visits to the neighborhood market as well as traditional restaurants to give you a wide variety of authentic experiences. I’m a big sucker for honey, so I would have probably put that woman’s kids through college buying out her whole stall lol! 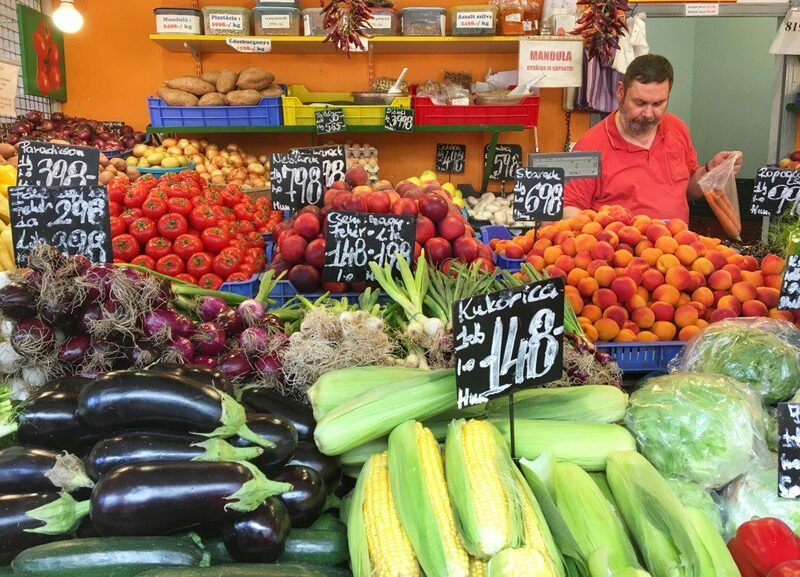 Food tours are a great way to get an immersive experience of the place. I see that the Budapest food tour got you in touch with some spectacular food. I love the fact that these tours are actually a window to the culture and history of the place and never disappoint.